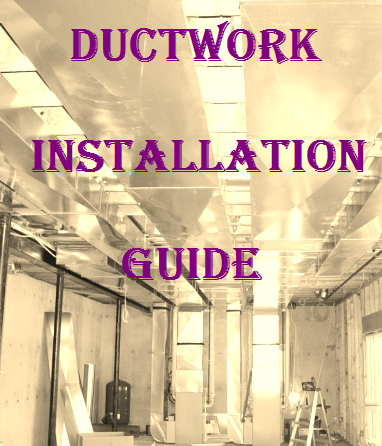 I have a dedicated ductwork system with the air handler in unconditioned attic. When outside temperatures drop down below about 40 (pretty much Nov thru March) condensation starts forming in the ducts and drips from some of the ceiling registers. First winter after moving into this home, I just tried closing the dampers on the registers, but that had limited if any improvement since air still passes thru the vents. As a temporary fix each year since then (4 years now), I tape plastic over all the registers each winter. This solves the problem, but looks horrible. I have worked with two HVAC contractors but neither of them has been able to completely resolve the issue yet. The ducts are all now insulated to code (replaced some to bring up to code) and the metal registers in attic are all low-e wrapped and spray foamed. This is not just a little condensation on the vents; the ducts will actually fill with gallons of water. The warmer I set the heat the worse the condensation. My theory is that there is a slight and slow circulation occurring between different floors in the home to balance out minor temp/pressure differences. The slow movement of air gives it time to condense in the ducts, regardless of how well insulated they are. RH is about 40% and we keep the thermostat set at about 68 all winter, so there are no environmental extremes. This is a 60's era split level home located in mid-Atlantic region. Since sealing the vents works, I'm looking for a more attractive solution. Does anyone know if someone makes (reasonably priced) ceiling registers that will completely seal tight when the damper is closed? Or any other expert advice? Another odd thing is that there are many other homes in our neighborhood with same floor plan and similar AC systems installed about the same time, yet our home seems to be the only one with this problem. I have had a similar issue and finally fixed it. I have a 3-year-old home that is well insulated and tightly sealed. It is a two story home with a basement with geothermal heat/cooling. The second story of the home contains only guest bedrooms that are rarely used. The second floor has its own dedicated hvac and I set the stats to cover extreme temperatures (set temperature = 60 in winter, 82 in summer). These settings cover the rare extreme temperature cases but also ensure that the hvac unit doesn't normally need to run to save on heating/cooling costs. It turns out that in the winter the warm air rising from the first floor actually keeps the rooms on the second floor warm enough that I don't normally need to run the hvac unit upstairs. However, not running the hvac upstairs is what caused the condensation problem like you have. The key to the issue is that the insulted ducts for the second floor rooms run throughout the attic. Even though the ducts are insulated and my attic is over insulated, the air and surfaces inside the ducts will get very cold if the hvac is left off. When the warm air rising from the first floor gets into the duct inlets, a lot of condensation forms. But I noticed that the condensation only formed when the outside temps fell below about 20 degrees. The first time this happened, I soaked up the water on the carpet and then turned on the heat and everything dried up. I also noticed that as long as I ran the heat up there I did not get condensation even when the temperatures outside dropped to zero. I figured out that as long as I kept warm air moving through the ducts that the condensation would not form. But I did not want to run the hvac up there all winter because it is a waste of money. I had an idea that whenever the temperatures dropped below 25, I went upstairs and turned on the hvac fan but left the heat off. The idea was that continuously moving the warm air from the second floor rooms (which naturally get heat from the first floor) through the attic ducts would be enough to keep the inside of those ducts warm enough to not create the condition for condensation to form. This process proved to work for me but was a bit of a pain. I had to always remember to go up, turn the fan on at night, and then shut the fan off in the morning. But it worked. After one season on manually turning the hvac fan upstairs on and off I decided to automate the system. Since I have a zoning up there, I checked the manual for my zone controller (EWC Controls Ultra Zone 4) and found out that is has a dry contact input for a carbon monoxide sensor. This feature allows the automatic detection of CO (with a separate CO sensor) and allows the hvac fan and a fresh air inlet to be automatically turned on to circulate fresh air through the system. I used that CO dry contact input to hook up a battery operated programmable timer with a dry contact closure so that every night at 6pm the hvac fan turns on, and every morning at 6am the fan turns off. I only turn this timer on during the months when nighttime temps drop below 25 (generally Jan & Feb). This fixed my problem and saved me the hustle of doing it manually. When this problem first surfaced, I thought about sealing up the registers upstairs but decided against that approach because there are times when I do run the hvac (when we have guests or when it is really cold outside) and so I would have to run up there and take the seals off. There are quite a few registers and it just wasn't a practical solution even though it probably would have worked. The challenge is making sure that the seals are airtight.